I literally squealed with excitement when I got the call from Patty, looking for someone to help her plan a surprise 40th Anniversary Vow Renewal. Here’s a little back story: Patty and her husband are from New Hampshire and they have always dreamed about taking a trip to Yellowstone National Park. The vow renewal was actually the second surprise of the trip! The first surprise she filled me in on was bringing their kids and grandkids along for the vacation. Steve didn’t know anything about it until they all showed up at the airport to check in. She wanted to be able to share this trip, and their renewed commitment, with their family. 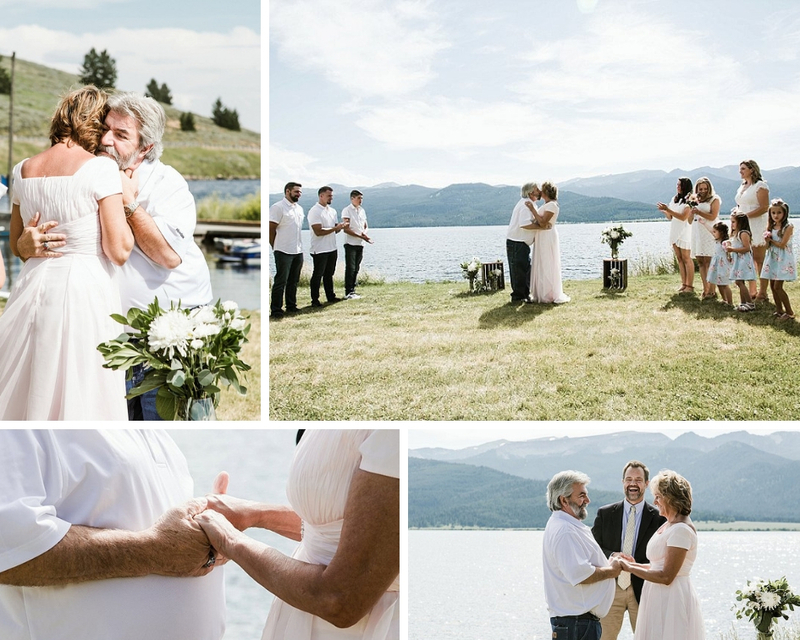 The renewal ceremony was held on the lawn of their rental home on the shoreline of Hebgen Lake, just outside of West Yellowstone. The bride wore pale pink and her daughters and granddaughter wore white. The men wore simple white t-shirts and blue jeans. 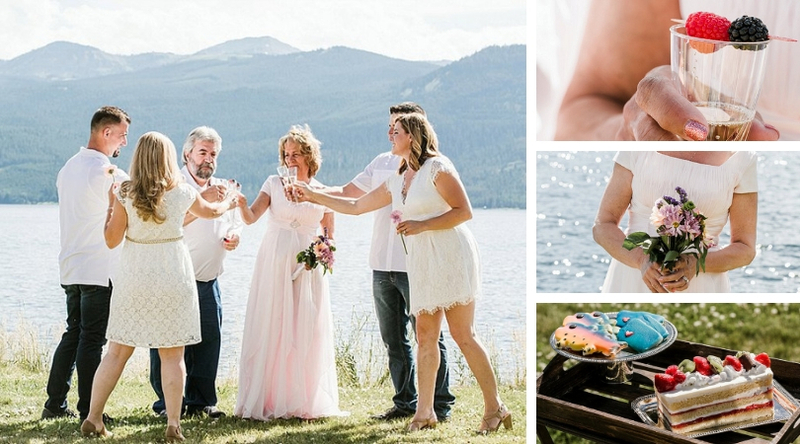 After the renewal, they enjoyed a champagne toast (with sparkling cider for the kiddos) and shared a dance to “Remember When” by Alan Jackson. (cue the sappy, happy tears!) A delicious dinner in West Yellowstone followed their family portrait session with Elements of Light Photography. As someone who’s been in the business of weddings for six years, I can’t express how special it was to be a part of this 40th Anniversary celebration. It was a beautiful reminder that there is so much more life beyond the wedding day. Love is such a wonderful thing! Our team handled the full planning process: budget, vendors, site selection, floral, timeline, and dinner reservations. By the way, if you’re in West Yellowstone looking for something delicious, I HIGHLY recommend the huckleberry burger and the 44 North huckleberry lemonade at Madison Crossing Lounge. You won’t regret it!